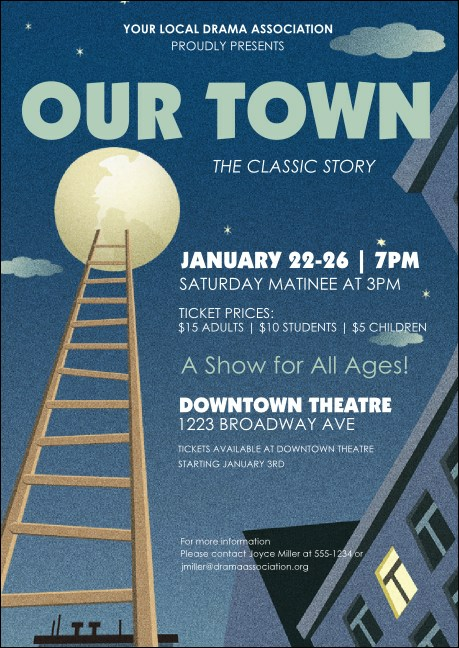 Use the evening's theme to your advantage when you send the Our Town Postcard! Big issues are discussed in the small town featured in the popular classic drama. Give potential show-goers all the information they need to remember your memorable night on 16 lines. Capture more attention for any play with the right postcard from TicketPrinting.com!